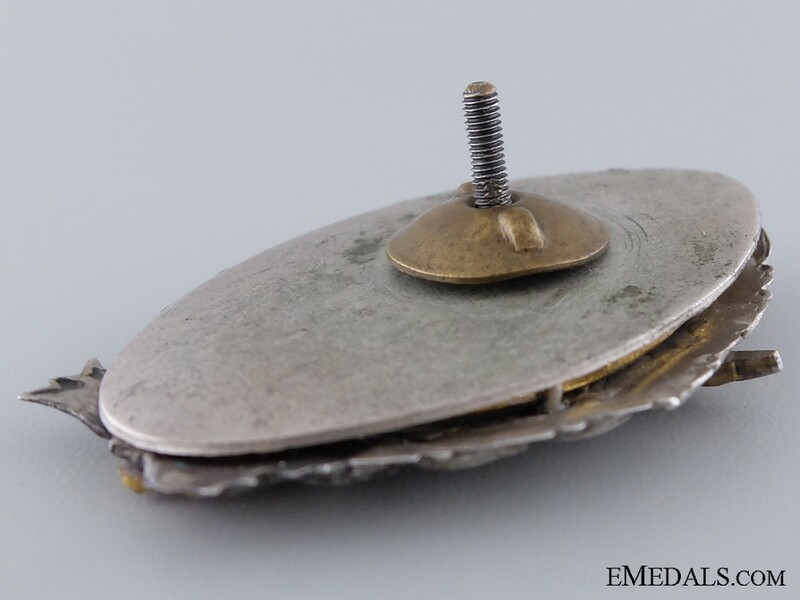 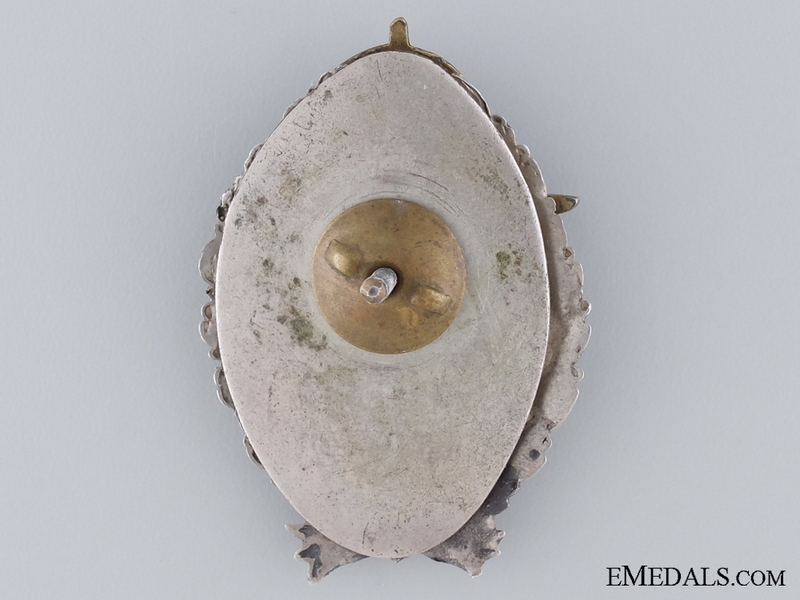 A Royal Bulgarian Pilot's Badge; WWII Period Issue - Badge in silvered bronze, white metal and enamels, 36mm x 52mm, of multi piece manufacture, unmarked, with backing plate and fastening screw on reverse; in worn condition, very slight enamel chipping. 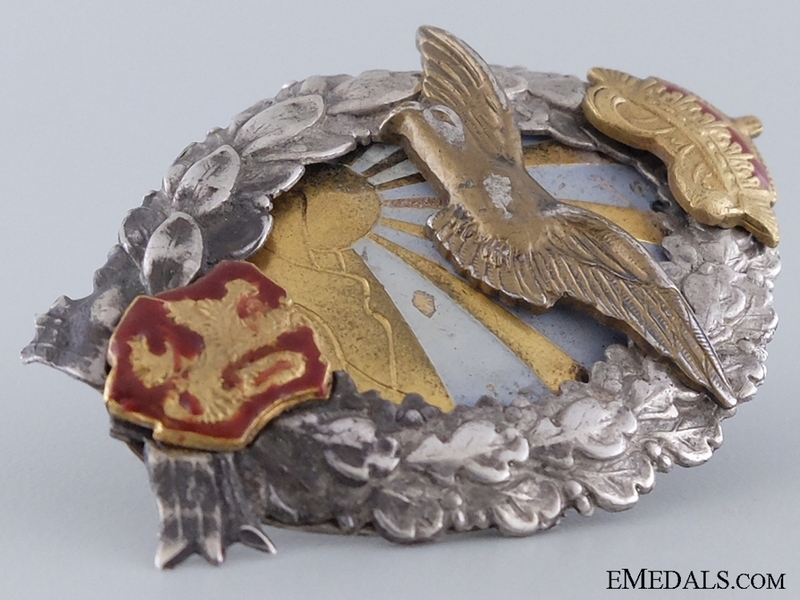 Quality of this badge would suggest WWII period of manufacture, as earlier Pilot's badges were of superior quality. 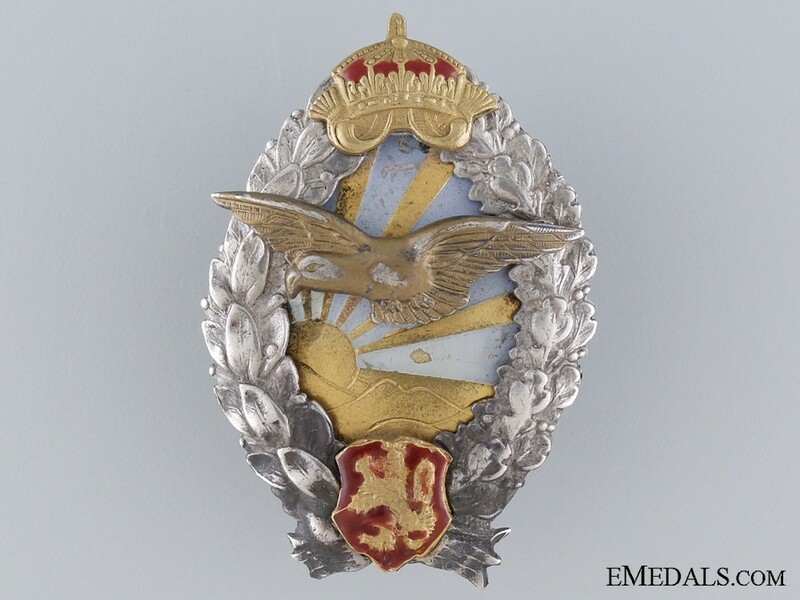 Pilot's badge were often awarded to German pilots serving on the Balkans alongside Bulgarian airman.